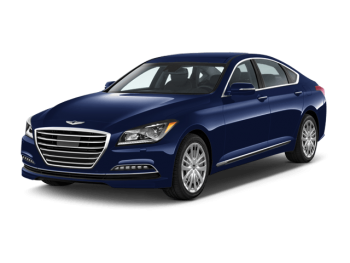 The 2015 Hyundai Genesis Sedan grabbed the top honors, earning the 2015 Insurance Institute for Highway Safety (IIHS) Top Safety Pick+ (when equipped with optional Automatic Emergency Braking), while the 2015 Hyundai Elantra Sedan and the all-new 2015 Hyundai Sonata both nabbed 2015 IIHS Top Safety Picks. The 2015 Hyundai Genesis Sedan is one of only six cars which received the coveted 2015 IIHS Top Safety Pick+ designation. It ranked among top luxury vehicles like the Acura RLX, Inifiniti Q70, Lexus RC, Mercedes-Benz E-Class and the Volvo S80. We have seven 2015 Hyundai Genesis Sedans in stock now and more to come! Check out the luxury car you don’t have to pay the luxury price for! *The Insurance Institute for Highway Safety is an independent, nonprofit scientific and educational organization dedicated to reducing the losses – deaths, injuries and property damage – from crashes on the nation’s roads. The Institute is wholly supported by auto insurers. Previous Previous post: The Crossover for Millennials?